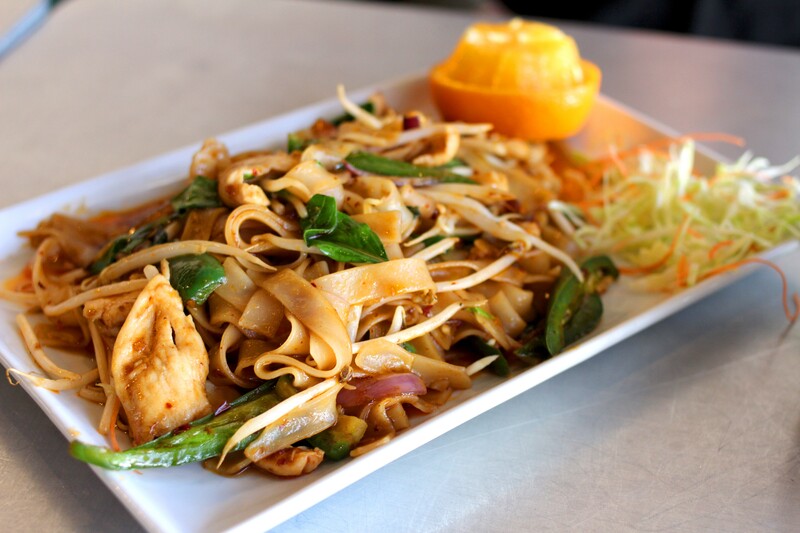 Spicy drunken noodles at 4 Seasons showcase the restaurant’s best assets. Fragrant curries will keep you coming back for more. Open: Monday-Friday: 6 a.m.-3 p.m., 5 p.m.-8 p.m., Saturday: 6 a.m.-8 p.m., Sunday: 7 a.m.-8 p.m. Severe menu-onset indecision often leads to two paths: sometimes you order one of everything, leaving with boxes and boxes to go and a hefty bill, and other times you are paralyzed—unsure of which path to take. Maybe everything looks kind of good, maybe you're not sure what the particular restaurant excels at. Well, I've got some bad news. If you go to 4 Seasons Restaurant off of Miracle Mile Road—a restaurant that prides itself in serving Thai, Chinese and American classics, you can definitely expect to waffle a bit on just what to order. From the outside, the restaurant doesn't look like much: a modest front patio with tables and benches, and overall, a generally unobtrusive beige exterior. Inside, though, you're met with airbrushed pin-up girls on the walls, a diner-style counter, blue vinyl booths and a large chalkboard wall with some specials written on. It's entirely unexpectedly cutesy. However, my previous warning stands: sifting through three full menus is no easy task. 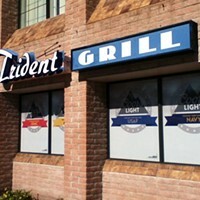 Of the cuisines offered, Thai is least common in Tucson, so there's as good a place as any to start. Rich curries, spicy noodles and stir-fried meats and veggies (almost all are under $10), function as the bulk of the offerings, along with 12 appetizers. You'll find your favorite dishes like Pad Thai, Tom Kha, Prig King and six different curries. Starting out, the crispy calamari ($6.99) serves up a generous portion of tempura battered calamari. While the squid itself seemed of decent enough quality, it was slightly overcooked and a little rubbery—even still, I was plenty impressed by what this dish accomplished in the given setting. 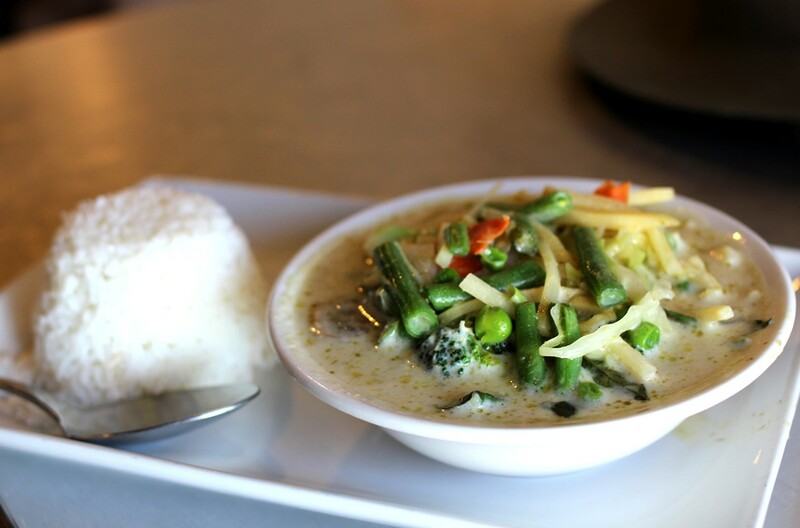 The green curry, which comes with your choice of meat, tofu or veggies, serves up a delicately bright, yet aromatic curry in two sizes. The smaller ($7.49) is enough to be filling, but the dish is so tasty that you'll wish you opted for the larger portion ($9.99). For a meal with more of a punch, the Drunken Noodles ($7.49/$9.99) are an intensely spicy, lightly sweet serving of wide noodles embellished by fragrant Thai basil, bell pepper, onion and more. It's a pretty straightforward, but admittedly well-executed, version of the dish that won't disappoint its devotees. Over on the Chinese menu, fried rice, lo mein and more wokked options serve as the entrees, while starters like egg rolls and gyoza (which is actually Japanese, so let's just call them potstickers) offer up a lot of the basics of a Chinese menu. 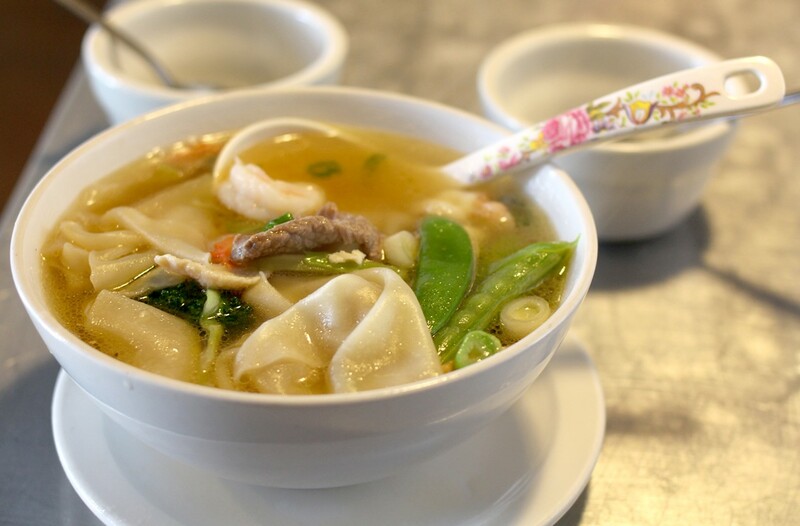 Of the expected options, the General Wonton soup ($7.99) shines brightest with scratch-made wontons, shrimp, BBQ pork and beef. The broth is packed with flavor, serving as a great base to elevate the rest of the components. Now, when I said there were three menus, that wasn't exactly true. That's because the American menu is actually two: a breakfast menu and a lunch menu. So, if you thought deciding what to order was already really difficult, you may want to stop reading. Bacon cheeseburgers, rib eye steaks, a pork chop with grilled onions and jalapenos are just the start of what you'll find for lunch, while French toast, homemade corned beef hash, chicken fried meats and eight "Egg Creations" (most people call them scrambles), which can be served as burritos or omelets, are some of what the breakfast menu offers. If I can help you decide what to get or where to start at the charming little 4 Seasons Restaurant, it might be to just skip breakfast. 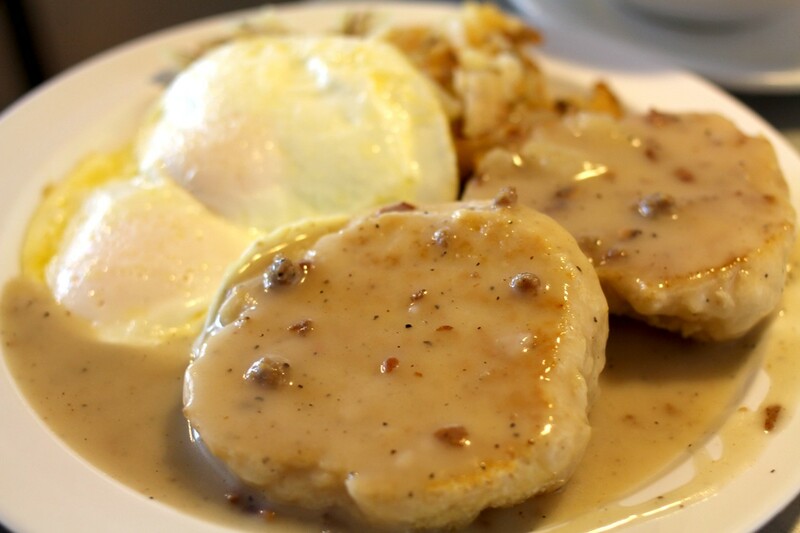 With thin, near-flavorless gravy atop biscuits ($7.99 with eggs and potatoes) and scrambles ($6.99-$8.99) that were good, but nothing special, breakfast is just OK. Since the restaurant has so many options, there's no love lost in overlooking an entire menu page here. However, I will say that the housemade beef chorizo was worth a taste for sure. Overall, the service is friendly and welcoming. Seating, ordering and serving are all done swiftly, but it is usually slow to get the bill, for whatever reason. Not a huge deal, especially after spending the rest of the meal joking around with the staff, but worth noting if you go for mid-workday lunch. While not everything at 4 Seasons Restaurant is the top of its class, a lot of the dishes are truly satisfying iterations of classics, be it Chinese, Thai or American in origin. From the taste of it, the restaurant seems to have a commitment to making their dishes from fresh ingredients, from scratch—and that's impressive for a menu jam packed with so many different things. While I imagine prepping there is quite the endeavor, mostly, I'm just excited that there's a place that I can get potstickers, Thai curry and pancakes all in one sitting.